Having great oral health and teeth makes everyone feel better. When you know your teeth are at their best, you go through life smiling and laughing, which brings a lot of happiness into the world. 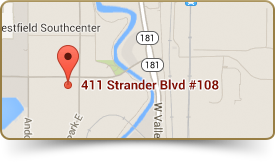 At Southcenter Dental, we love helping our patients achieve healthy mouths and great smiles, one person at a time. Offering general, family, cosmetic and sedation dentistry, Dr. Jerome Baruffi, Dr. Austin Baruffi, and our team deliver painless, personalized dental care. We emphasize preventive treatments and use minimally invasive techniques to deliver the strongest results for our patients. Consultations are available at our Tukwila, WA dental office, where we serve patients from Burien, Renton, and surrounding communities. For more information about the painless, stress-free dental care we offer and to schedule an appointment, please call. The team at Southcenter Dental looks forward to working with you toward exceptional oral health and teeth, for years of confident smiles!